May 2nd, 2017 | Moving For Work, Moving Tips. 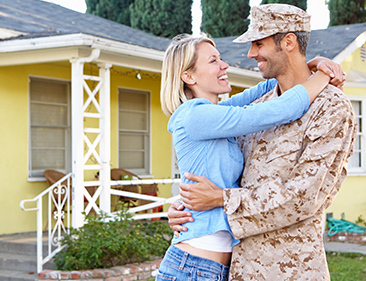 Base relocation is a big part of every military family’s life. If you haven’t done this before, you might not be aware of how challenging a Permanent Change of Station (PCS) can be. You’re about to tackle a major life event that will require you to be exceptionally detail-oriented and focused. Once you get your PCS orders, it’s your responsibility to prepare for your relocation. A PCS involves a significant amount of planning, organizing, and, of course, handling paperwork. As a GSA-approved transportation provider, we’ve helped a large number of military families move to bases throughout the United States, to US territories, and across the pond to Europe. These experiences have allowed us to collect some best practices for Permanent Change of Stations. Read the tips we’ve outlined below so you can learn how to execute your first PCS like a pro. 1. Visit Your Current Base’s Transportation Office to Decide If You Want a Personal Procurement Move or a Government-Affiliated Transportation Service to Relocate You. The relocation window for a PCS can range from a couple of weeks to several months. The location can vary from a place in the contiguous United States to Guam to Germany. In other words, you may have a lot to do, a long way to go, and a short time to pull off your move. Go to the base’s Personal Property Office or Transportation Office, where the staff will brief you about your moving options. You’ll want to decide if you’re going to move yourself, also known as a Personal Procurement Move (for which you can be reimbursed), or utilize a government-affiliated transportation service. Regardless of which moving option you choose, decide early and notify the Transportation Office. The staff at this office manages pickup and delivery dates. Depending on which time of year your move is, you might be vying for the dates of your choices with many other families from your base. 2. Notify the Housing Offices of Your PCS, and Secure Housing for Your Next Installation. If you’re moving from one base to another, your transition should be relatively simple. At your next installation, contact the housing office, and let them know when your projected moving date will be. Some bases have longer wait lists than others, meaning you may need to find temporary, back-up housing until your name is at the top of the wait list. Next, visit the housing office at your current installation. Ask them for details about moving out of your current home, including the cleaning regulations. Your soon-to-be-former house will be inspected after you move out. If you didn’t appropriately clean your on-base residence, you could be charged an additional cleaning fee. If you live off-base, notify your landlord immediately that you’ll be relocating. The dates of your PCS are probably still uncertain at this point in time. Therefore, it’s best to stay conservative with your move-out date or refrain from disclosing when you’re expected to leave. As soon as you learn when you need to move out definitively, you can have a follow-up conversation with your landlord. Talk to your new base’s family service office. The staff at this office will have a treasure trove of information about your new location, including relocation tips and employment resources for your spouse. Have a conversation with your sponsor and your command about the new location as well. While a relocation assistance specialist might have great leads on a new house, your sponsor and command may have firsthand knowledge of certain neighborhoods, their schools, and local landlords. As seemingly overwhelming as a PCS is when you get your orders, it follows a predictable path from packing to cleaning to moving to unpacking. The best thing you can do is document the process, taking photographs of your belongings, collecting information about the relocation in a binder, and record your personal items with an inventory. Remember to separate and pack a small suitcase of clothing and personal items for each member of your family. Moves can take a lot of energy to complete, meaning you may not immediately unpack upon arrival. In that case, you’ll want to have clean clothes and toiletries available. Wheaton World Wide Moving works with the CHAMP Transportation Management Services Solution system to coordinate fast, cost-effective moving services to military families. If you’ve just received your first PCS orders, then we’re happy to help you organize and execute your relocation. Call us directly at (800) 248-7962 to get more information about our moving services, and review our online resources to learn which documents you’ll need for the relocation.